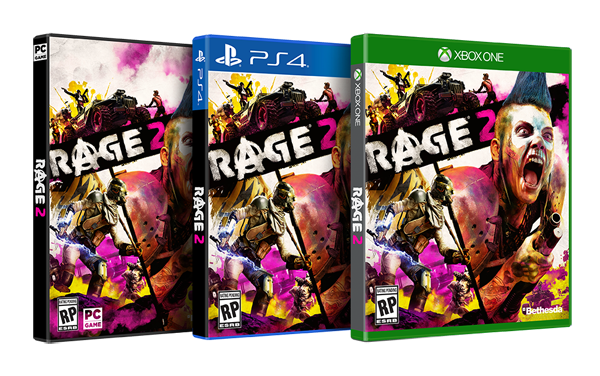 Rage 2 is being developed by id Software, developer of the 2011 prequal Rage, and also in association with Avalanche Studios, best known for the Just Cause series as well as the recent Mad Max game. Checkout some gameplay below. "Mankind is in peril. In the decades following an asteroid's devastation, most of the earth has become an unforgiving wildland where bloodthirsty factions vie for control of precious resources. Pockets of civilization have emerged to claim their space in the world, but the tentative peace they've established is being threatened. RAGE 2 follows Walker, the last Ranger of Vineland, as he fights to survive the chaos of the dystopian world into which he was born. With a wide array of weapons, vehicles and strange powers, Walker sets off to take down the tyrannical Authority." Release is set for 2019 for PC, PS4 and Xbox One. Lot more info to come for Rage 2 at Bethesda's E3 Showcase on Sunday, June 10, including more gameplay and details.